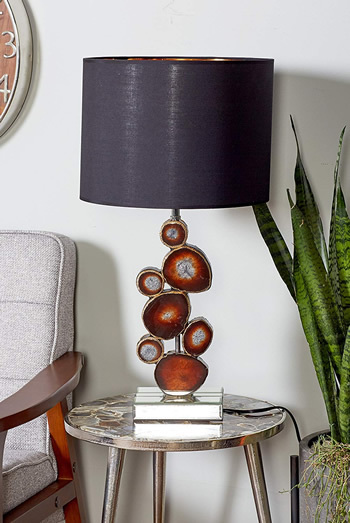 Unique Table Lamps with the look of natural slab cut polished petrified wood stones. 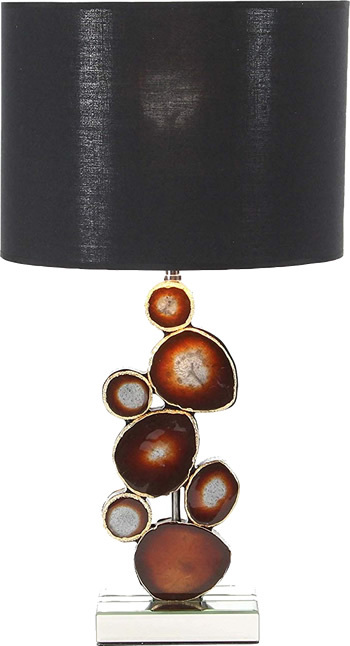 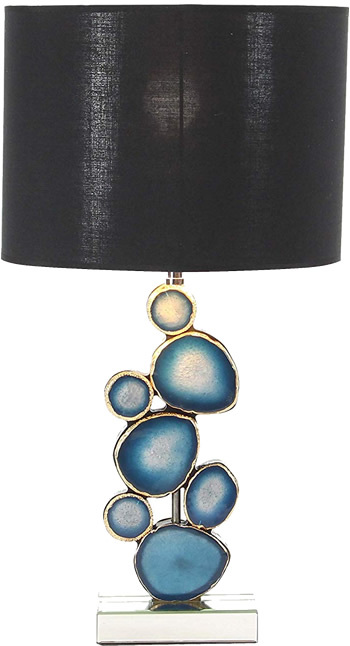 This delicate lamp has a seeded, clear glass that is mouth blown into a banded iron cage, finished in an antique Bronze. 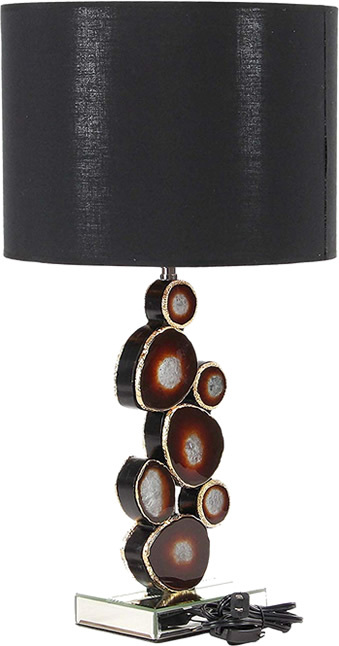 The rectangle bell shade is heavy Black crackle. 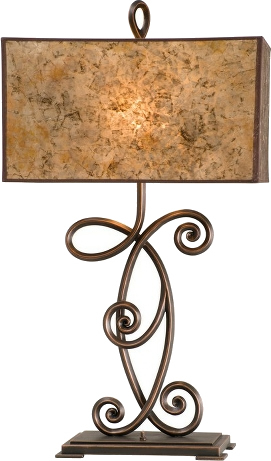 Finish: Antique Bronze Iron and Mouth Blown Seeded Glass. 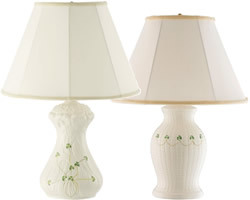 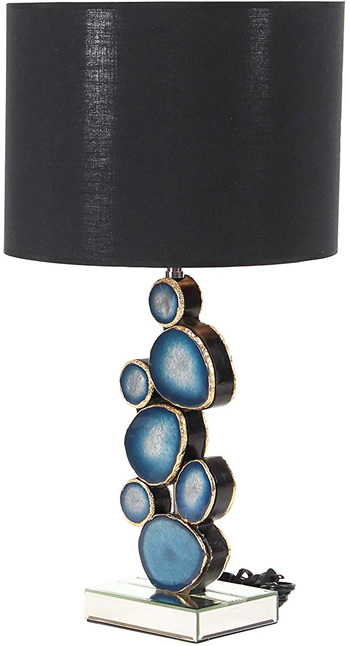 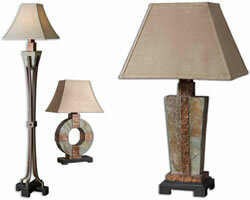 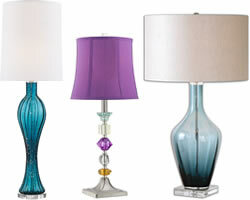 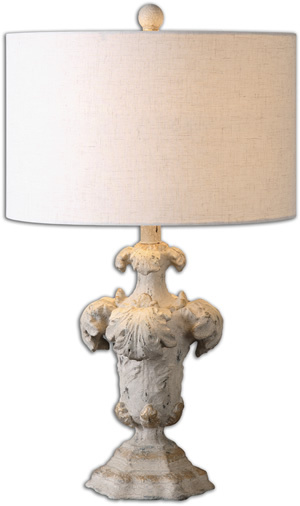 Uttermost Lamps Combine Premium Quality Materials with Unique High-style Design. 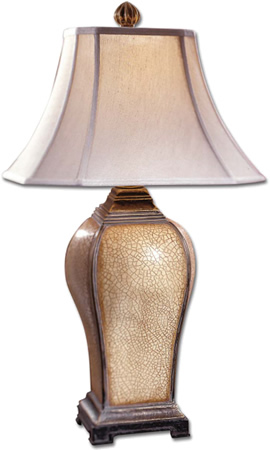 w: 18" x Height 32.38" l: 13"
Finish: Ivory Crackle Finish with a Light Burnished wash and antiqued Champagne Details.